The Table Runners Live On! - Jill Ruth & Co. 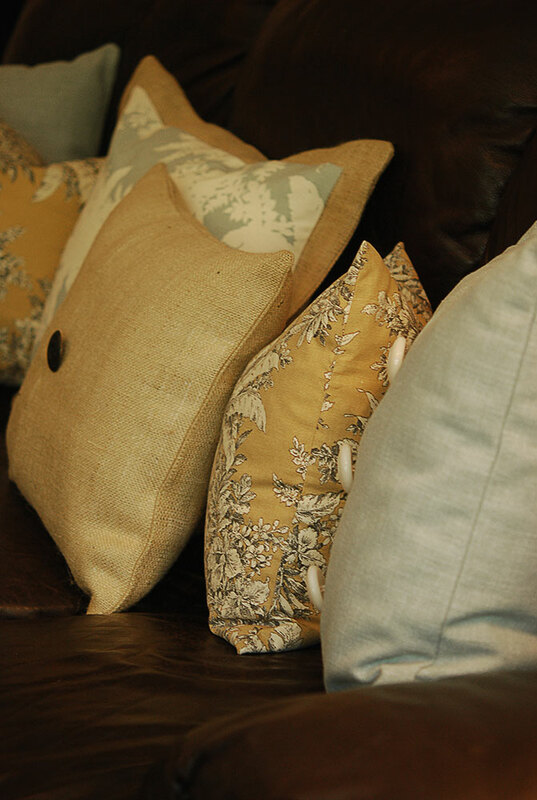 I helped my recently married daughter sew some pillows for their home this past weekend. This is our couch not theirs so that's why they don't really "go" here. There are some scraps left. Remnants of remnants I guess! I'm hoping to find a good use for them. So as my daughter was finishing up some ironing I got out some frames I bought for family pictures and thought "hmmm....burlap would look neat under the white". I've also seen online where people are using glass with dry erase markers. I started messing around. I at first thought I'd like to embroider a message on the framed burlap and then thought of the dry erase marker. A bit faster. Embroidery will be a permanent solution, but while your deciding a design... or for a gentle message to yourself or family...the marker is great! I'm inspired by Dottie Angel and Yoda. So, then we got all excited and found a larger vintage frame that I had, and my daughter painted it white. I put some of the blue linen left from her pillows in it. Now, she has a memo board for their home! Plans are in the makes for more of these for myself and my next two daughters! I have the frames, the paint, and the fabric...just need to get some glass for them. Linking up with the "I really like to write on glass with a dry erase marker, you should try it." blog party. Ha! 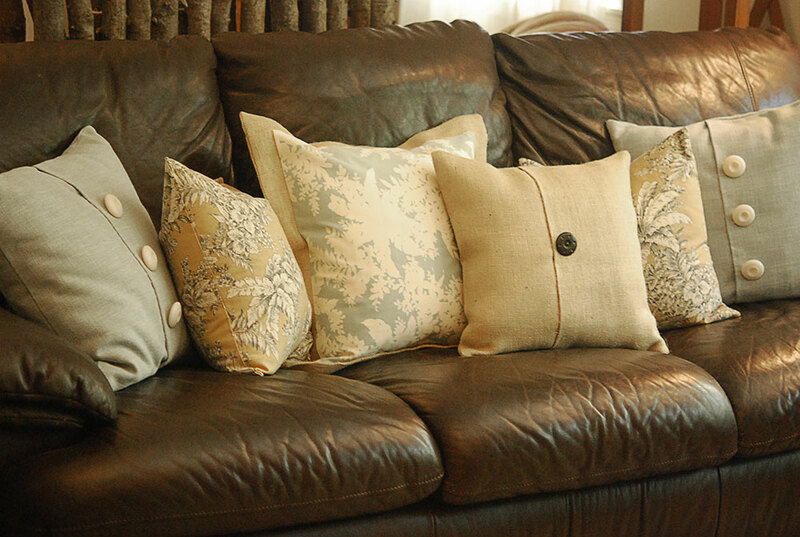 these are great - first - those pillows do look like they "go" with the leather couch! and I love the embroidered heart with the written saying! Great pillows! 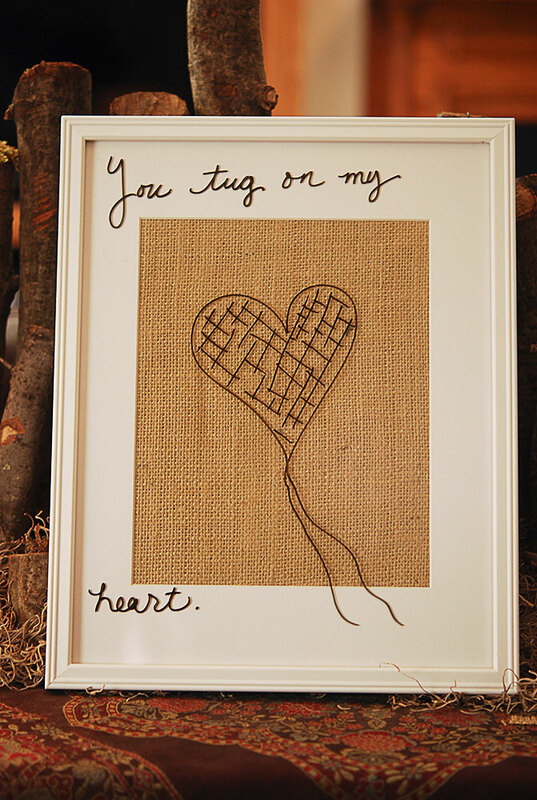 Love the stitched heart!!! I'm IN LOVE with the markers on the framed glass. OMG I tried to click on the link to join your blog party. rofl Tooooooooo fun! guess what just got added to my list? I think I will try some embroidery ones too... soon as I sell off all this stuff I just purged. I love the idea of using wedding fabric for home decorating. Lots of memories there. And I'm laughing at the blog party idea! But I'm thrilled with the concept of writing on glass. Quick and easy! Just all around brilliant and so inspiring dear Jill! Greetings from the Amish settlement of Lebanon,Pa. thought id say hello. Richard from Amish Stories. 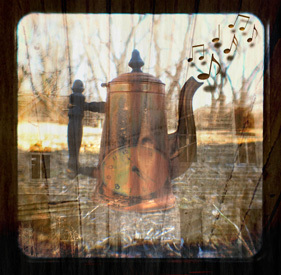 I just popped in from Midwest Cottage & Finds and am enjoying your blog. 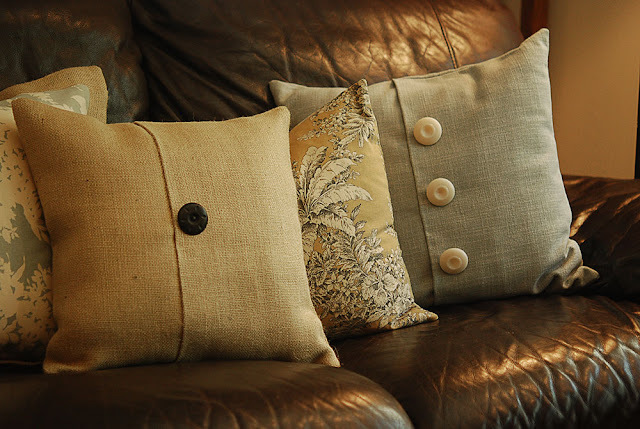 The remanent pillows are awesome and I LOVE the framed burlap project. I'm adding myself as your newest follower so I can keep up with your great ideas and blog! I LOVE your couch with linen and remnant pillows on it! We have a leather couch I hate--but now I know how to dress it properly. 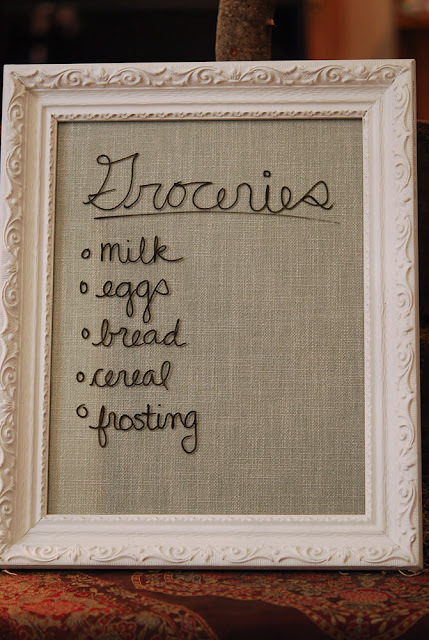 I didn't know dry erase markers worked on glass (awesome idea making those memo frames!) 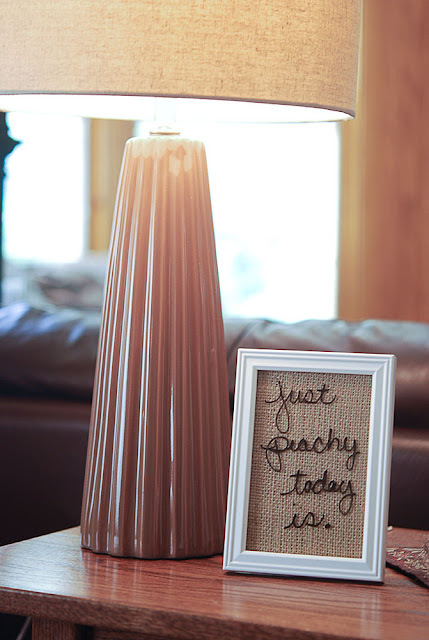 Great re-use of those wedding runners! Oh how smart are you! Love it...all of it! Beautiful pillows!! I just love them. 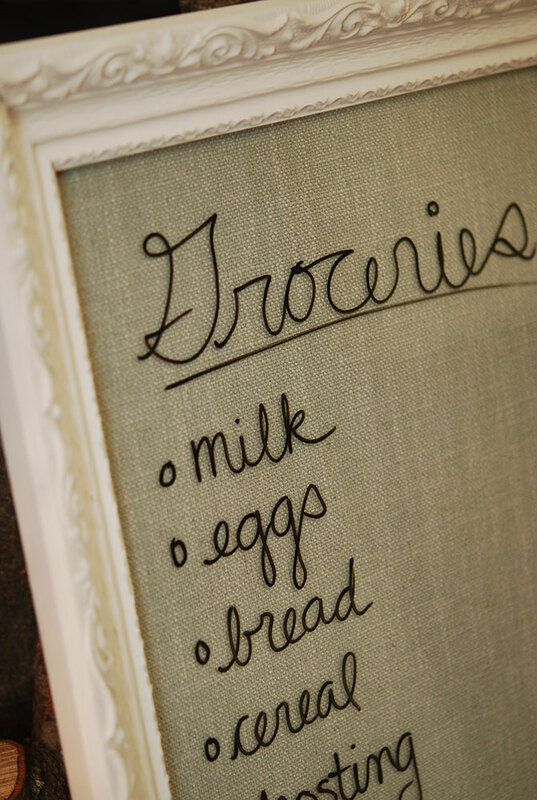 The burlap in the frame is a fun idea!! The pillows are wonderful and the frame is so clever. I love it all. This is a super cute frame idea! I love the frame idea. Great for gifts! These are great! We just used the bathroom mirror but this is much prettier! I, too, love all things burlap. I have several frames for dry erase sentiments around the house...they will be getting a new background thanks to your inspiration! I am absolutely going to do the burlap/frame idea. Thank you for sharing. I have never seen this before. I found you on Pinterest in case you wonder (I always do). May I ask what the process is? 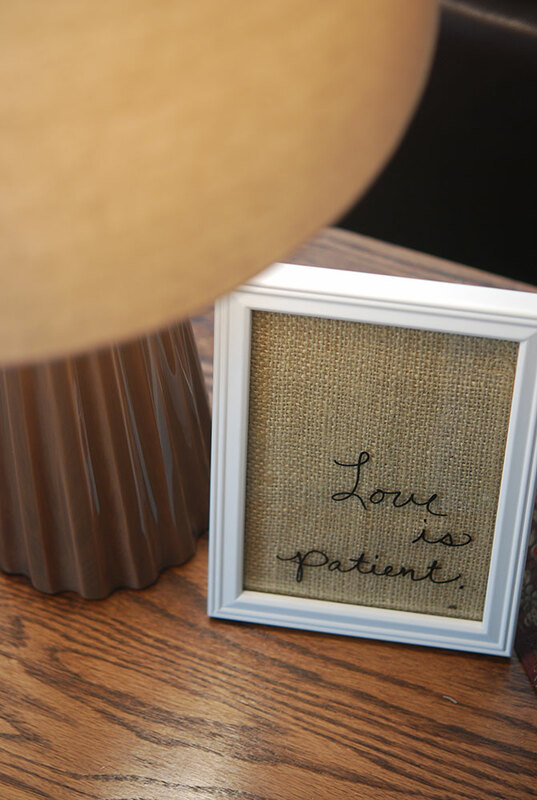 How do you stick the burlap to the frame? The frames with messages written in them are really sweet. 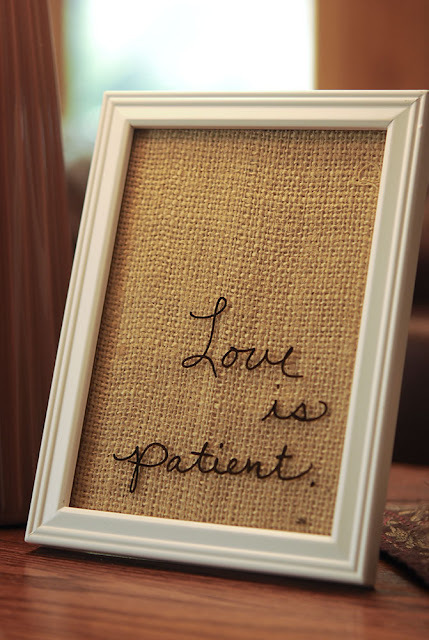 As an avid reader, I am always looking for ways to display favorite sentences that I come across, and I love the simplicity of the burlap. Perfect. I found my Sunday project! I wanted to make a cool dry erase board for my new black fridge. Now all I have to do is find a cool frame - maybe a stainless steel one...Thanks for the idea!